Me : I need to find an easy and tasty dish for Goa. The Husband (TH) : You want to invent one ?? TH : Then what's the problem ? 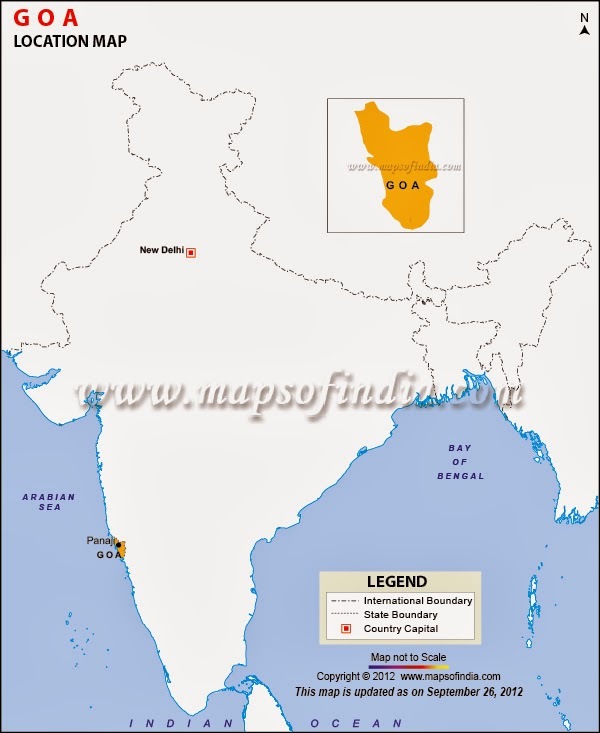 As a tourist or a reader, Goa needs no introduction – for Indians and NRIs alike, Goa is a preferred tourist spot and loved across all age groups. Verdant beaches, Hawaiian type beach shacks, chilled beer – you get the idea J… Sit back and enjoy the experience with a chilled glass of your favourite beverage…. Next evening, kiddo tells me she had a pink coloured drink at her friends' and she liked it. Pink, pink, …some connection was made, and I made Futi Kadi for Goa (apparently, she had Roohafzah – which is a rose flavoured sherbet). 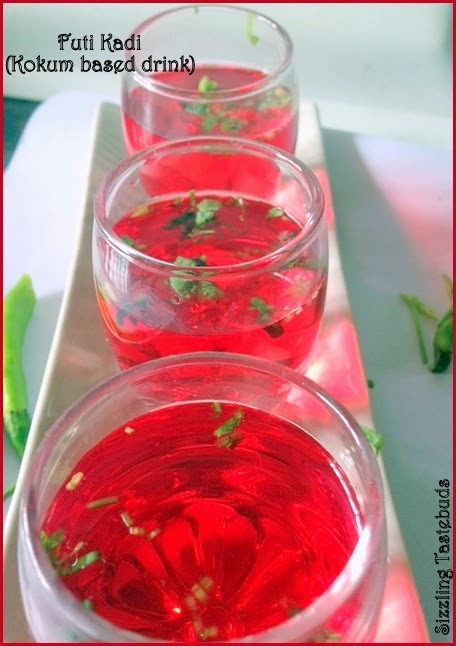 But nevertheless, went back to Archana’s recipe and dished out a simple and soothing beverage to beat the summer heat ! What a colorful and refreshing drink. 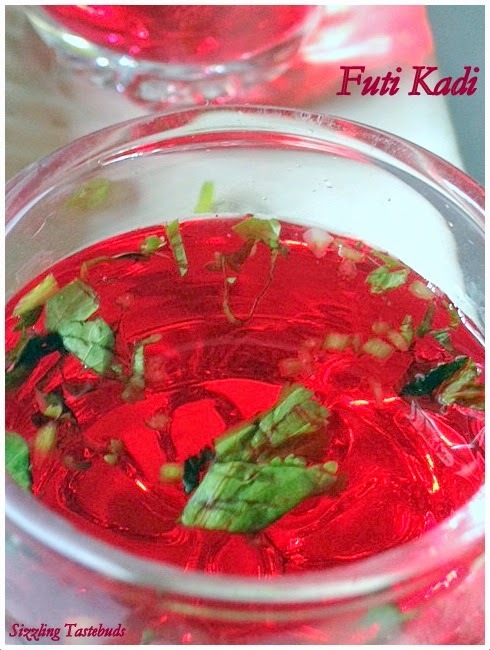 Never thought of using kokum in a drink. Very interesting. Very bright and refreshing kadi. Love sol kadhi. The pictures are really good. 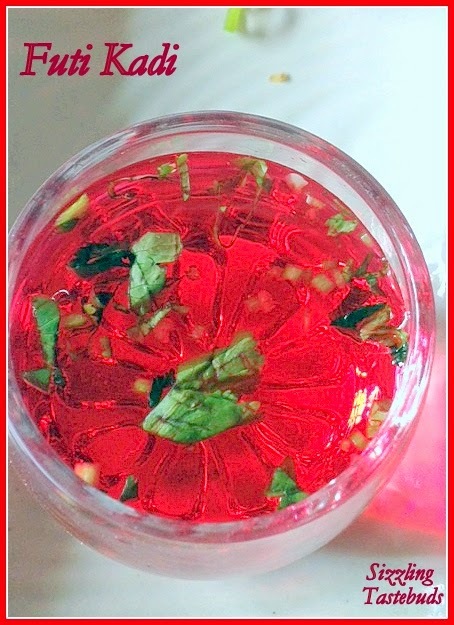 Very vibrant and inviting drink for the upcoming summer! Kalyani, you are being to hard on you..your clicks look so good as well..and that conversation is so hilarious!.what all we do man..
Haha! Kalyani I was thinking you will try bittergourd recipe. But futi kadi is apt for the season.Love your conversations! Thanks for the mention. One more ingredient that I have never cooked with is kokum. The color is so beautiful that it instantly wants me to try some. Colorful & very refreshing drink. I like that vibrant color. And BTW how does it taste?